An editor at Tuesdays with Horry reported to me a few weeks ago that University of Kentucky basketball coach John Calipari was spotted at a Dunkin Donuts in the Big Apple. Unless Calipari was hammering out a point-shaving deal with the Five Families (not unheard of in UK basketball history, and not above the suspicion of the editor who told me about the Cal sighting), his squad this year promises to be nearly unstoppable. The problem with UK’s team last year was that, with the exception of Kyle Wiltjer (who has since transferred to Gonzaga), the team was a mix of highly touted but underperforming freshmen. While people claim that such is always the risk with Cal’s rip-and-run, one-and-done recruiting philosophy, they fail to realize that last year was the first where Cal had to deal almost exclusively with freshmen: the three previous teams had veterans like Patrick Patterson and Darius Miller to provide some level of cohesion amid a sea of talent. No one would seriously argue that Willie Cauley-Stein is Patrick Patterson, but we’ll take the former when we have a historically talented recruiting class coming in, even without Andrew Wiggins. 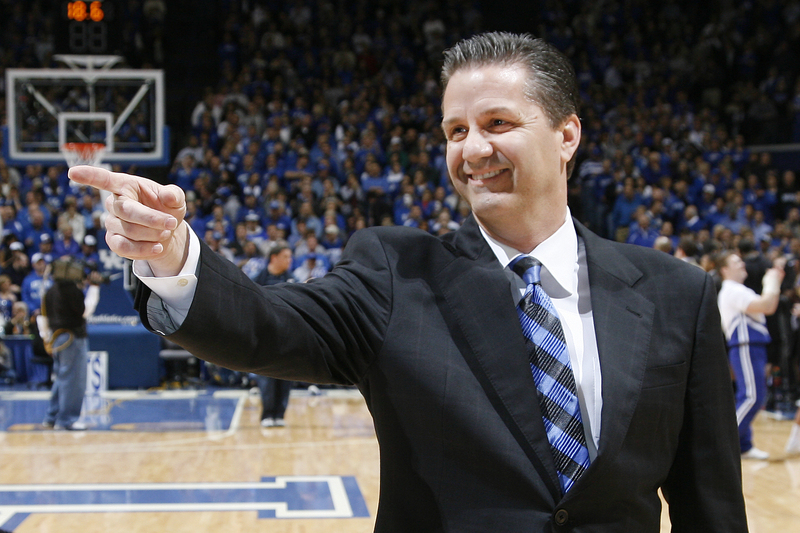 The SEC and the country as a whole is on notice: UK is coming for revenge, and I don’t anticipate it being pretty.